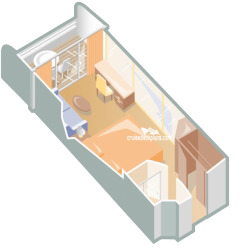 - Phone, desk, safe, hairdryer. 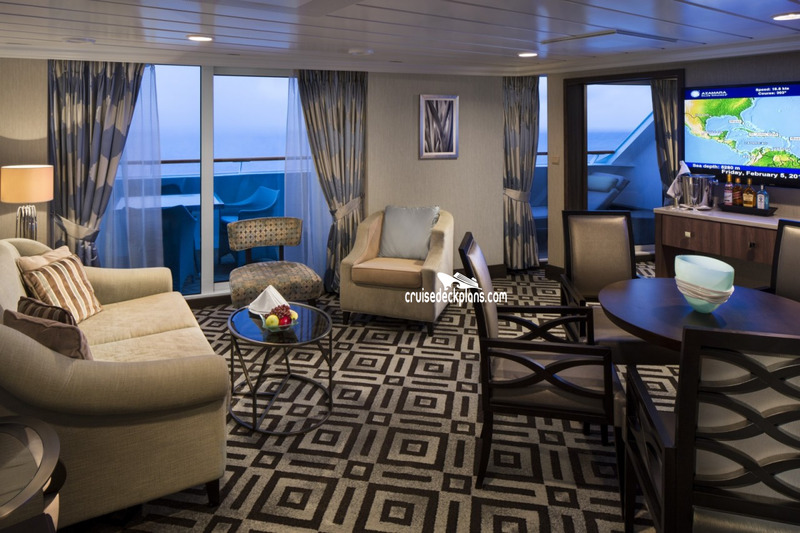 Amenities also include daily hors d'oeuvres, complimentary nonalcoholic specialty coffees, sodas, bottled water, private portrait sitting, in-suite spa services. 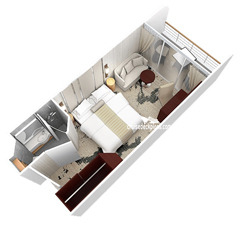 Also includes complimentary use of bathrobes, personal stationary, and slippers. 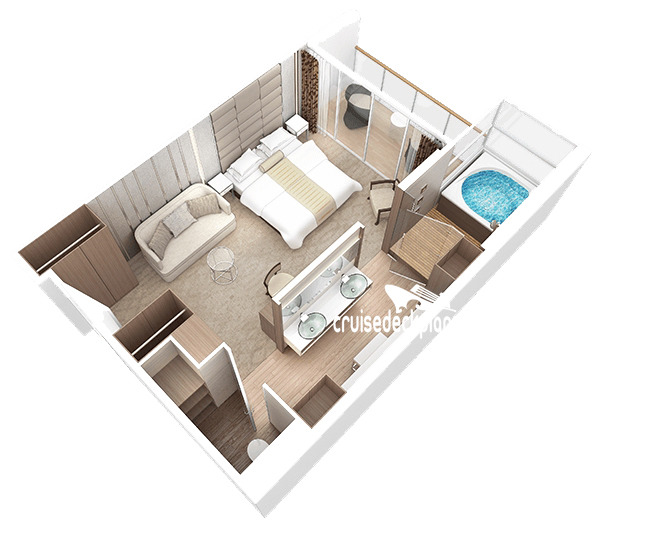 - Newly built suite in 2016 with elegant organic decor. 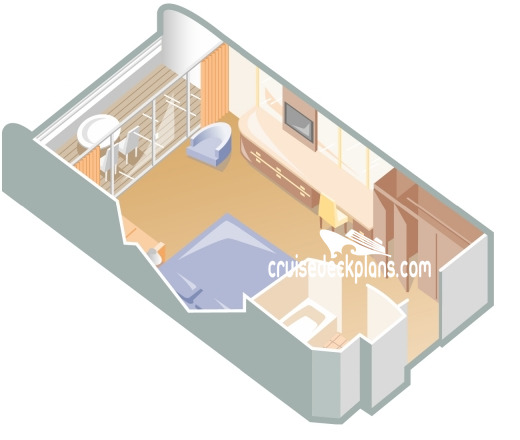 - Two lower beds that convert to queen. 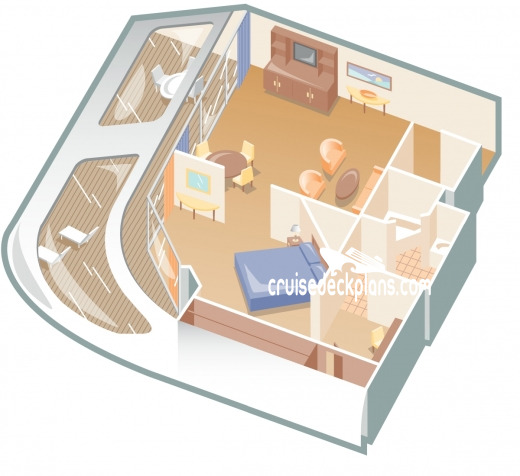 - 55 inch flat-screen TV in sitting area. 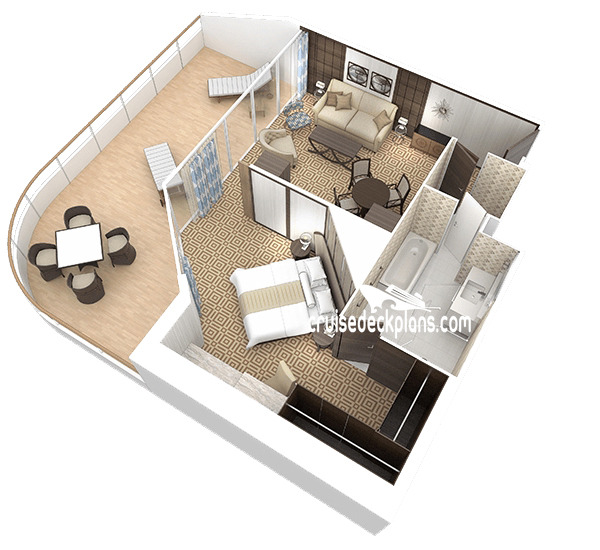 - Floor-to-ceiling glass doors leading to Veranda. 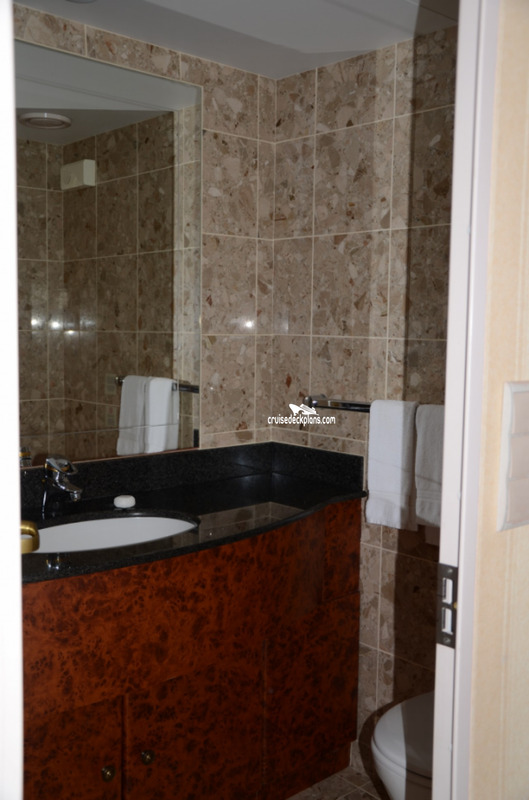 Note: The whirlpool and shower are glass enclosed and visible from the bedroom area. 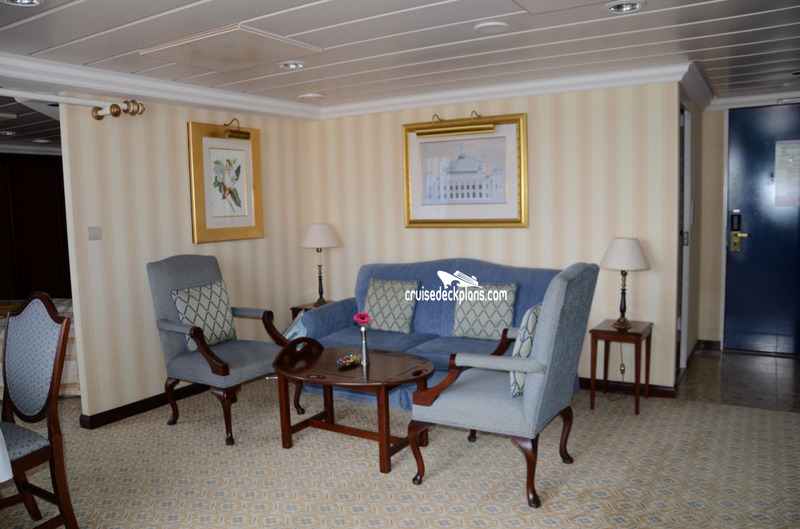 Amenities also include daily hors d\'oeuvres, complimentary nonalcoholic specialty coffees, sodas, bottled water, private portrait sitting, in-suite spa services. Also includes complimentary use of bathrobes, personal stationary, and slippers. 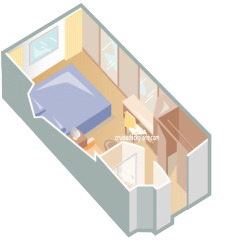 Category VX balconies are 57 square feet. 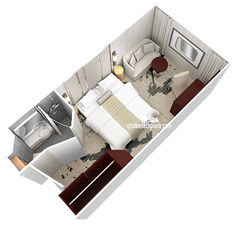 Amenities also include personal stationary and complimentary use of bathrobes and slippers. - Category 6 cabins have a porthole instead of a window. 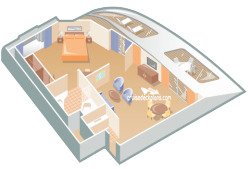 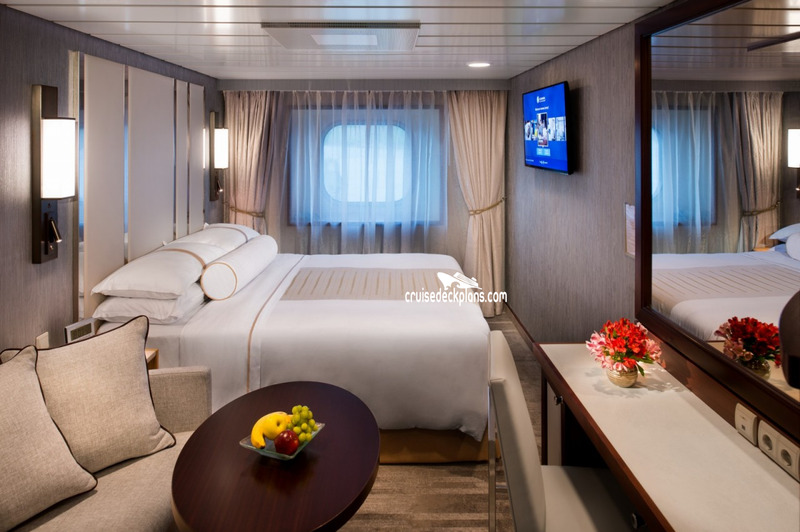 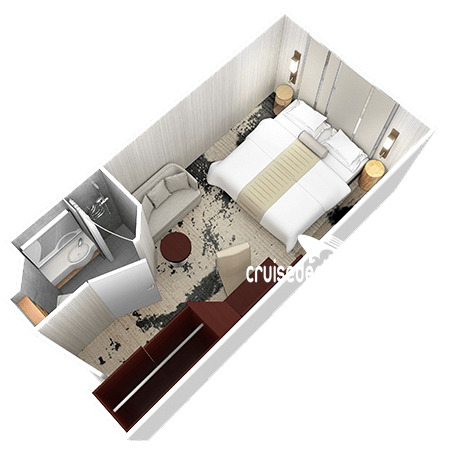 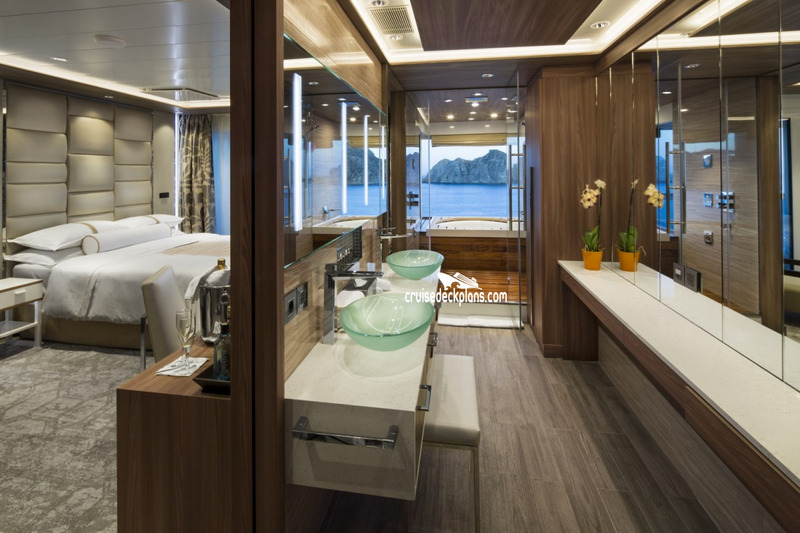 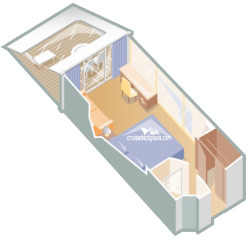 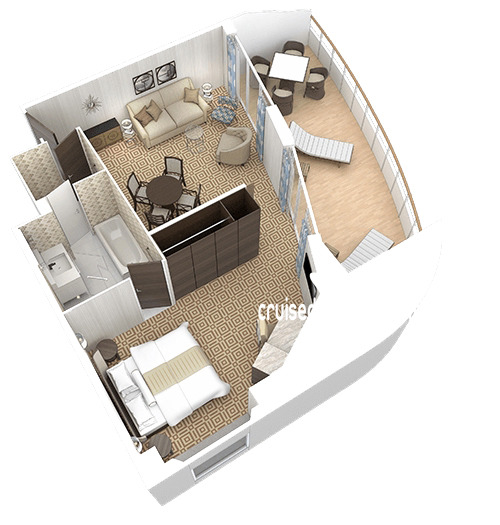 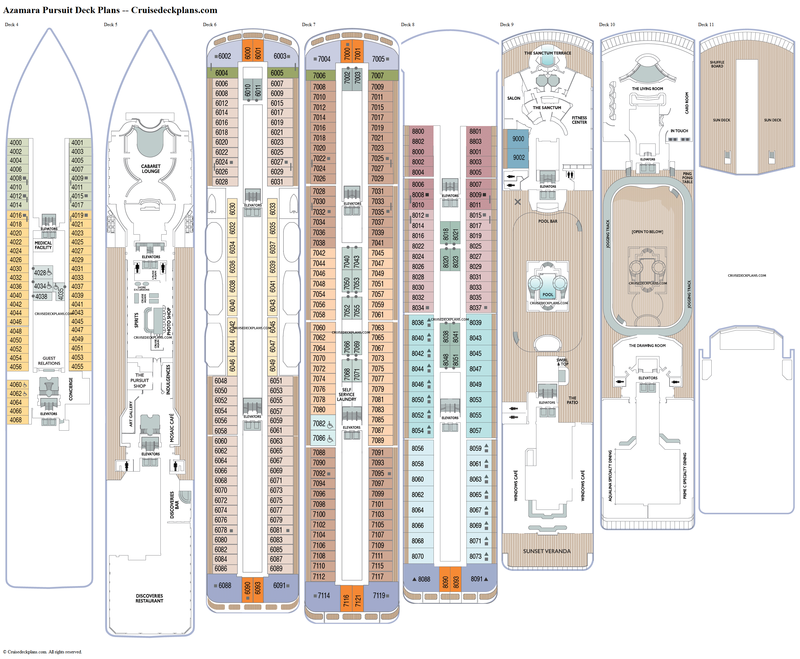 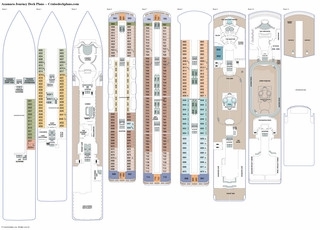 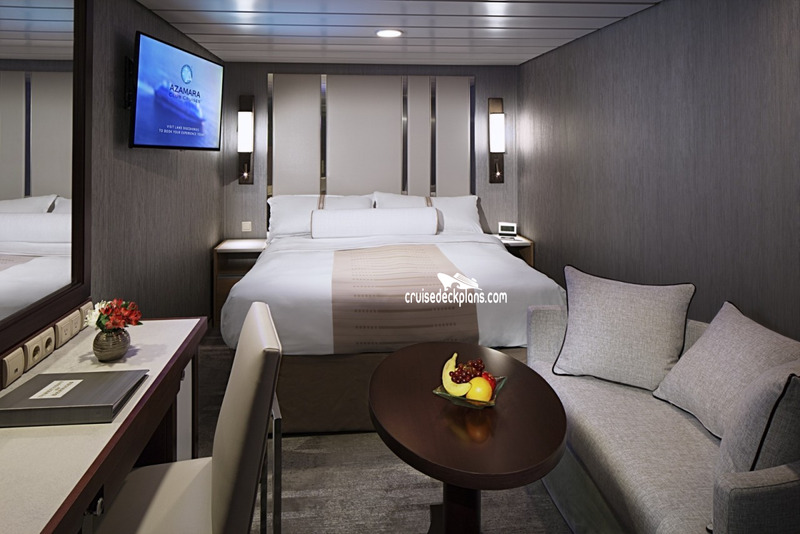 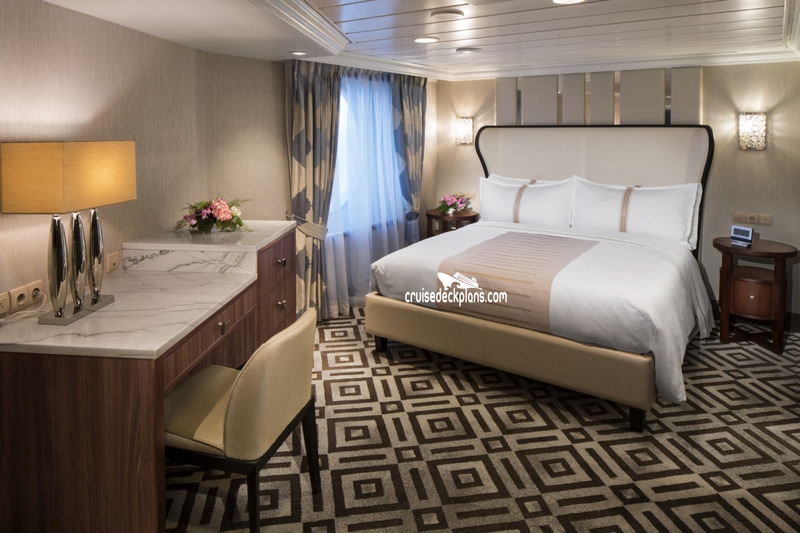 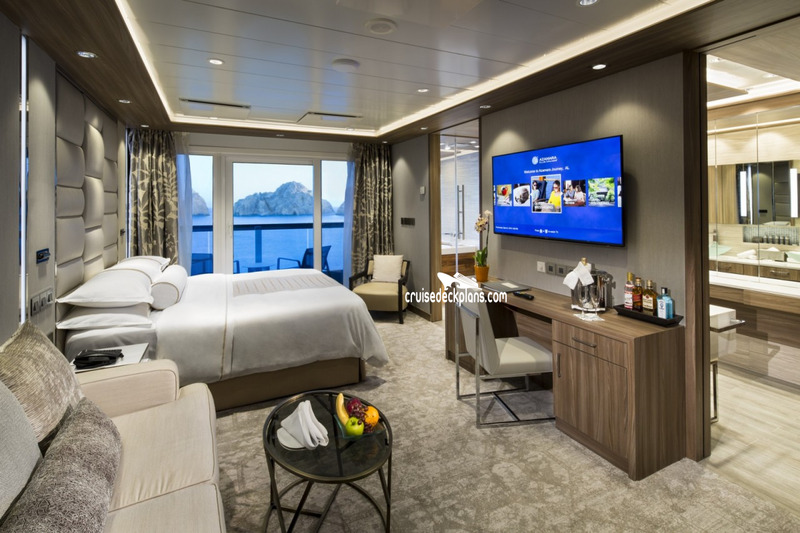 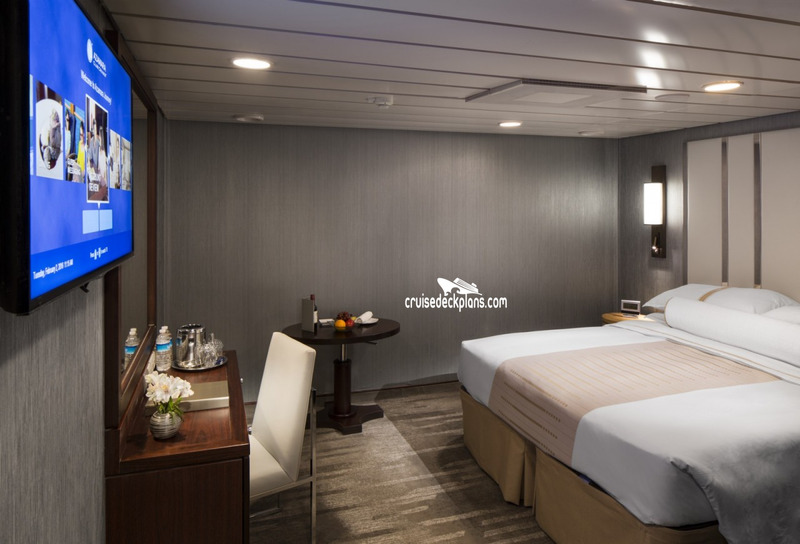 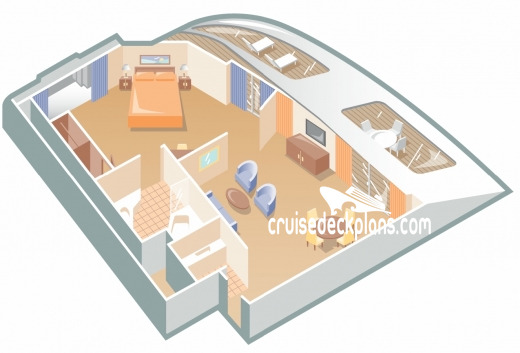 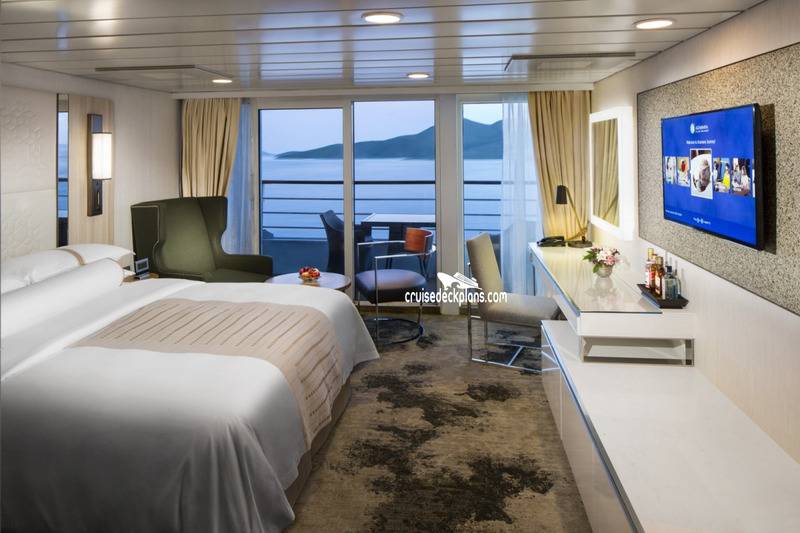 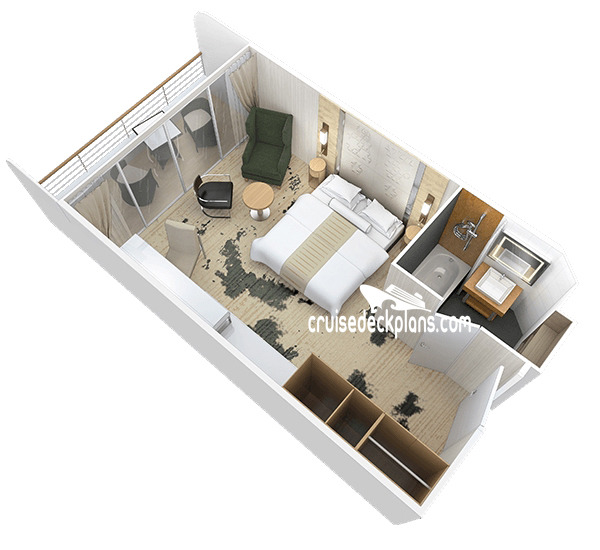 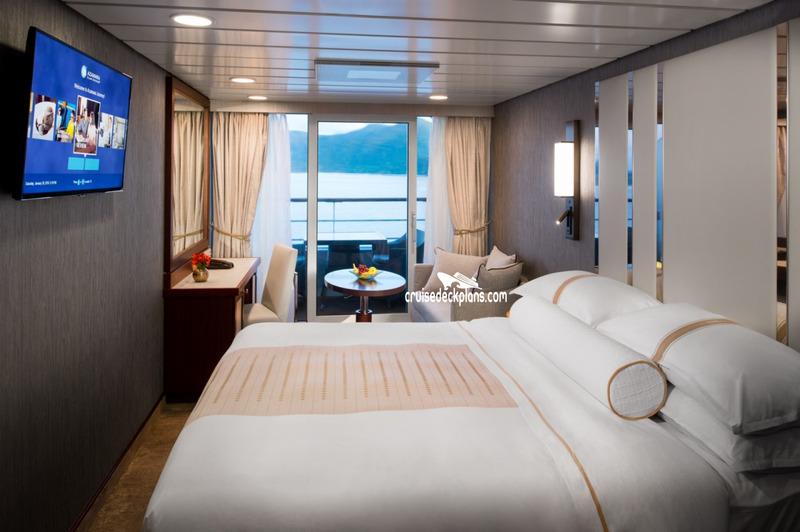 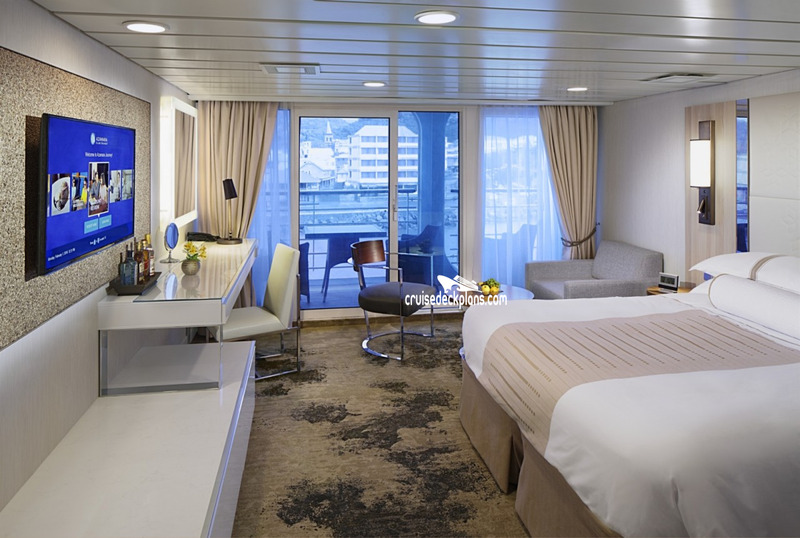 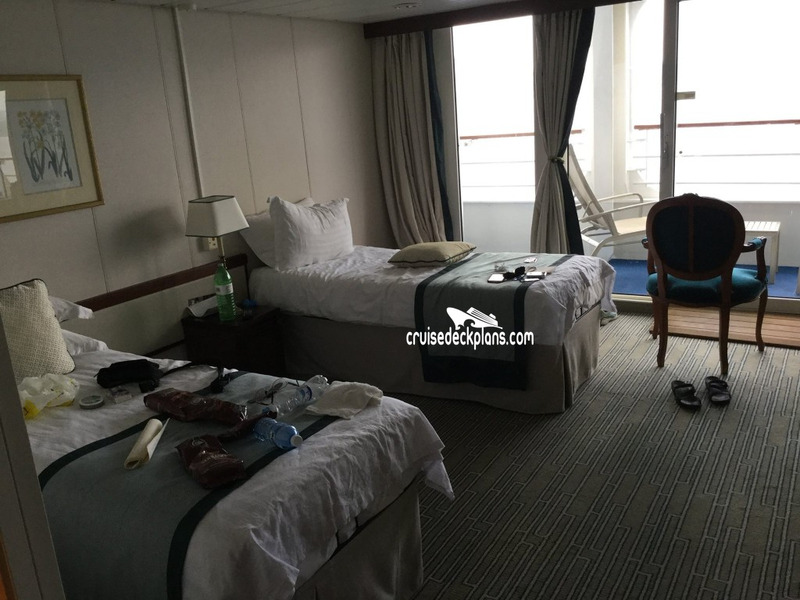 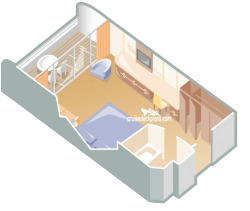 Category 8 staterooms are 143 square feet. 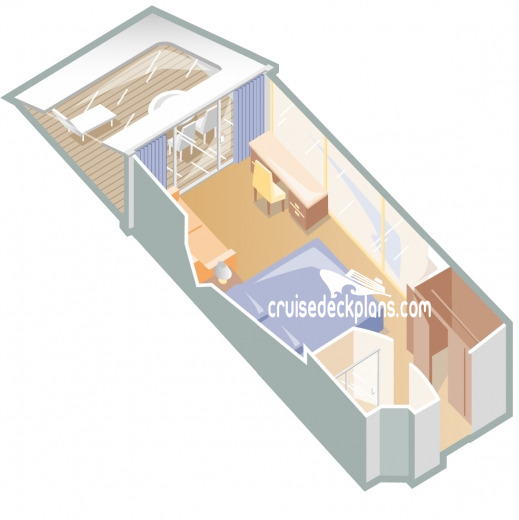 Four category 04 oceanview cabins (6004, 6005, 7006, 7007) are 200 square feet. 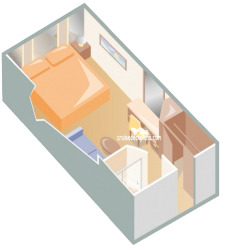 - Some cabins come with sofa bed.